Are you a School Principal? If for any reason you do not feel that way, you have come to the right place to get your “Mojo” back! If you already love your job, then you live for Mondays, September, assemblies, and for every day that you get to work with your students and your team. If you LOVE it, the thought of going to your school gets your adrenaline pumping! If on the other hand, the job is starting to weigh you down, I am here to help you lighten your load and put a smile back on your face! Yes, there are numerous things to do and many people to keep happy and at times the job might seem quite daunting, but know that you do not have to work through issues alone. You have come to the right place to find answers, solutions and support for running your school. If you have a problem or a question, I have answers and solutions! If I don’t know the answer, I will help you find it! Getting you an answer to a problem in the shortest time possible, is my main goal. I know how busy you are. Getting an answer or solution to your current dilemma, ASAP, is often difficult to do! You want a suggestion right now! 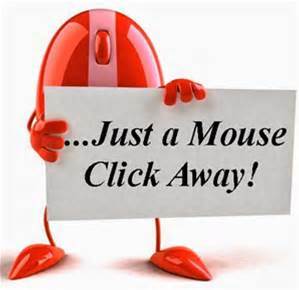 My goal is to give you those answers or ideas or suggestions in as little time as it takes to check your tablet, or click your mouse! You are welcome to Email Me to “chat” , or post your comment or question below. I will get back to you PRONTO! You, THE SCHOOL PRINCIPAL, must know exactly what you want for your school’s identity. If you don’t have a very clear picture of what YOU want YOUR school to be like, then NO ONE else will either. Everything you do, must reflect your vision for your school. Let’s say you want your students and staff to be more respectful of one another. That is a pretty ideal and positive attribute; but, no one will know that is what you are aiming for if they don’t HEAR IT and SEE IT everywhere in your building. How are you going to make “respect” a living breathing norm in your school? I said you need to hear it and see it everywhere. How are you going to make that happen? Well, let’s get started on filling your school full of “respect”! 1. You are going to say the word, “RESPECT” every chance you get. That is pretty easy, right? You will use it when you speak to children in the halls or on the playground. 2. You will stop students and point out how impressed you are with something they just did that was “respectful”. 3. You will talk about it at your assemblies by saying how impressed you were with all the examples of respectful behavior you witnessed throughout your school. Give real examples! 4. You are going to make signs or posters or ask a CLASS to make posters for a bulletin board depicting examples of children showing respect for one another. 5. You are going to brag about the examples of respectful behavior you witnessed when you give your report at your next Parent Advisory Council meeting. 6. You are going to open your next staff meeting stating how impressed you are with the multitude of respectful behaviors you witnessed teachers showing. Give real examples! 7. Your next newsletter is going to talk about how thrilled you are to work in a school that has so many respectful students. 8. Your morning announcements, whether stated by you or your student leaders, is going to include an enthusiastic statement about how much respect you have seen throughout your school. 9. Your student announcers can share some of their own examples of respectful behavior, if you ask them to do that when they do their announcements. 10. At your next Superintendent’s or Director’s Meeting, talk about how excited you are over the amount of respectful behavior you have witnessed at your school. 11. Attend a School Board Meeting and brag about the respectful behavior you are witnessing at your school. 12. Go to the grocery story, nearest your school, and tell the cashier how happy you are about the respectful behavior your students show one another. Your school will begin to be a much more respectful place to be just because you have SHONE A LIGHT on that type of behavior. Whatever you shine your “light” on, it will become illuminated, and it will propagate! Try it! You will be very impressed. It works like magic! Everything you need to make your school GREAT is already in your school. 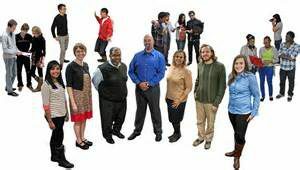 It is NOT the building, the playground, or the computer lab that makes your school what it is, it is the PEOPLE in it! Showing everyone your pride in the school and your vision for its greatest potential is one of your most important tasks. 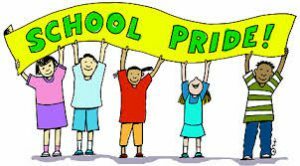 The more PRIDE you show in your school, the more PRIDE everyone else will show and feel about the school! You have to become the world’s best ambassador for your school. You need to become your school’s campaign manager. Don’t panic, you do not have to get out the pom poms and you won’t be doing it ALONE. You just have to get the PRIDE momentum started. If you read my article on RESPECT, you will get the idea, that planting the seeds is what it takes to get an image started. “Watering” and “Shining a light” on the concept brings it to life. If you are not too sure how to go about building some school pride, all you have to do is adapt the suggestions I listed for developing respect to fit the pride theme!!! You will soon learn that you can shape the identity and behavior within your school by what you say and what you do! how grateful you are that he or she is in your school. how proud you are of your school and how grateful you are that they are a part of the school. 3. When you are speaking with your custodian, tell him or her how proud you are of your school and how pleased you are that he or she keeps the school so clean! 4. When you are around school trustees, make sure you tell them how proudyou are of your school and how much you appreciate the work they do to make your school such a great place. 5. When you are in your school’s neighborhood grocery store, make a point of telling the clerks how proud you are of your students and how grateful you are for the support your school receives from the community. 6. Make sure you use the words pride or proud at least once with every person you speak with throughout the day! You will be ASTONISHED at how much the words pride and proud will become associated with your school! This strategy will not cost you a dime. It will not take any more time out of your day to do, yet, the rewards will be significant. 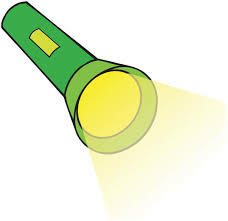 You have the power and ability to shape the reputation of your school by “shining a light” on the attributes you want to propagate, just by what you SAY and DO! Running a successful school is not a ONE person job! You need a TEAM to help bring your school to its greatest potential. Fortunately, you have a built-in team readily available to help you share your vision. You have your administrative assistant, your teacher librarian, your custodian, your special needs teacher or your learning assistance teacher for starters! The people, in the roles I just mentioned, are key people in your building. They interact with a multitude of students and colleagues throughout the day. They are more accessible to you because they are non-enrolling staff members. You can gather those people together to discuss a need without disturbing any classrooms. Another vitally important person to eventually add to your POWER TEAM will be your Parent Advisory Chairperson. You want this person knowing your vision so that he or she can help pass that view along to the other parents in your school. As you work with your POWER TEAM, let them know you need their input and guidance. Work side-by-side with this team so they learn you value their opinions. While working with your core POWER TEAM, you need to demonstrate that you see each person’s role is just as important as everyone else’s. Your team needs to understand that “working together” is your goal. Eventually you want to expand your core POWER TEAM to include EVERYONE on staff! YOU will NOT have all the answers for situations that arise within your building; however, your team and all the other staff members will help you find the answers. You want each and every staff member understanding that they have “a piece of the puzzle” and that working TOGETHER AS A STAFF, all problems can be solved. You must demonstrate trust in your team. If a decision they make does not go well, then work with them to change that outcome. You must show them that they are not being judged, they are being trusted. Let your team know that their decisions are to be made with the best interests of children in mind and that if they keep that focus, they can’t go wrong. Staying true to your word and backing their decisions will prove your TRUST in them. Your staff and the parents at your school will soon learn that you sincerely want what is best for the school and for the students. They will see that your entire “team” is working towards that goal! A Resource that might be of interest for you is the book sited below. 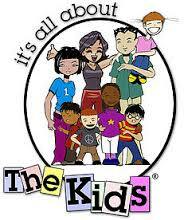 It is all about the kids indeed. I see that, we do have something in common. children is one of my true passions. Thank you for visiting my site. Yes we do have something in common. I agree, it is a privilege to be able to work with and learn from children. All the best to you. I will check out your site. What a great concept, I’m not a principal but after reading your page. Wow they have a lot on their plates. I am part of the school council and we firmly believe in having the staff work together. I’m going to send this page to the principle this may help him gather his staff. would that be ok? ABSOLUTELY! Please do. I would love to engage with another principal and help that person learn to love their job! Having the staff working in harmony makes the school a happy productive environment. Thank you for taking the time to comment. I really appreciate hearing from you. Thank you for visiting my website. Yes, by all means share my website with the principal. If there is anything I can do for a colleague, I would be very happy to do so. He might be interested in the information on empowering everyone. Once you have all your key people in place doing their thing, life becomes pretty vibrant and exciting within the school. Celebrating the skills and abilities of everyone else ends up creating a powerful school. The school principal cannot do it all, but he or she can ensure the team gets things done and feels good about doing it! Being you have a huge responsibility, it’s really a big role to take on and it takes a very special person to do exactly that. I have 3 people in my family that are principals and sometimes they are really stressed out. You really have to wonder if the pay is worth the responsibility sometimes. I honestly loved my job. I really hope I can help other principals learn how to love their jobs as well. Yes, it can be a very stressful job, but learning how to view it through a different lens will help reduce the stress. I wish I could speak with your family members who are school administrators. I would like to help them learn how to remove those nasty stressors. Thank you for reviewing my website and taking the time to comment! With all the changes in the school system it’s absolutely amazing that the teachers still try! This is an awesome site that inspires and empoweres the school! Thank you for your own dedication and wisdom. Keep up the positivity great work Susan! I can surely tell you love your job. And preparing young minds. …they are our future! Thank you, so much, for visiting my website. Yes, I loved being a school principal. My greatest joy came from watching teachers who lost their love of the job get that back. An energized teaching staff, which focuses on the needs of the students, can accomplish anything! Thank you, very much, for visiting my website. I am hoping to start some converstions with people about education. I hope to connect with other principals and teachers. Maybe your brother-in-law would like to share some of his experiences as well. I am going to check out your site! I will see you there! These are such smart tips. Thanks so much for helping out those who are educating the future leaders of the country! I think that the help you are offering people is absolutely amazing and there is some great things to be read here on your site. I think that even if you’re not a school principal you can definitely apply some of these methods to just every day life. Thank you for visiting my website. I really appreciate your feedback. You are absolutely right about the fact that methods that work with children will work with adults as well. Thank you for taking the time to read through my ideas. I am going to check out your website right now! This is an incredible site! How encouraging for the Principals and teachers out there. I had some wonderful teachers in high school, and I believe teachers are just not appreciated enough. We should be thanking them constantly throughout our lives. Luckily, my sister’s alumni group brought our Headmistresses to New York City for a dinner and presentation service honoring them by their former students. I am just now realizing how awesome that was. I love your encouraging tone, and how you talk about respect. That is really the gist of it all, isn’t it? Keep up the good work, and all best with your site. Thank you, so much, for visiting my website. I hope to be able to connect with administrators who are in the “throws” of the job and help them lighten their load, if possible. Sometimes all it takes is someone to chat with or a new perspective on things to get the joy back in one’s job. I really did love my job. Thank you, again, for taking the time to visit and to respond. All the best to you and your wonderful endeavours. I really enjoyed viewing your website and will return there to learn more from you posts. Thank you, very much, for visiting my website. Yes, I really did love my job and I do miss it! How nice of you to notice that. Yes, please do share my website with your work mate. I would love to hear from her. Thank you, again for stopping by and commenting. I am very impressed with your website, very appealing to the eye. children are very precious to me. I always thought being a school principal would be stressful, so many things to deal with day after day. Its awesome you love your job, everyone should be doing something they love and believe in. Thank you, very much for visiting my website. I agree that children are precious and need to be treated as such. Yes, I absolutely loved my job. There are countless things to deal with on a daily basis; but knowing everything you do is to make things better for students, keeps you motivated. I agree that everyone should be doing something they love, if at all possible. What a wonderful site! I really enjoyed reading. You have so much wisdom to offer!! Thank you, Sue. I loved my job and I hope to help some current administrators find the joy in their job, too. I appreciate you visit and your comments. I will do the same in return. Hi Susan, and thank you for such wonderful tips. While searching for other things, I somehow crossed paths with your site and seen this wonderful and informative article regarding respect as a principal. Although I’m not a principal, I am a parent of school aged children. I’ve always been adamant about teaching respect and have found your article to be a great tool for just that! Not just for principals, but to parents and ALL people in general! Would you agree? When I placed my daughter into public schooling, after attending Montessori during her preschool days, it was difficult because she was so advanced. At that point though, I realized how much the principal made the difference! She was characterized by many wonderful traits such as respect. She always presented herself the way in which she wanted the children to present themselves. No matter what the weather – rain, cold, or snow, she stood outside, in front of the school, and greeted every single child that walked through those doors. Sometimes I wonder if respect has become a lost lesson. Again, I appreciated and enjoyed your article. Thank you. Thank you, so much, for visiting my website. I agree that showing respect is something we need in all walks of life and in all situations. I believe our children are wonderful teachers and they are very willing to teach us how to respect one another. We show great trust when we send our children to school. Honouring the children and respecting them for who they are is what our public schooling system should be doing. I trust that people who choose to teach children have only the child’s best interest at heart. Thank you, again, for visiting my site and for leaving me your wonderful comments. Greatly appreciated! What an amazing job you did with your students. Big congrats!!! Your website is full of positive, empowering and amazing messages. I am very impressed. Unfortunately not every school has positive, helping and compassionate stuff but we can all work together to make some positive changes around us. Being a great teacher or a school principal should be a calling not a job and only the ones showing the passion and desire to make a difference should consider to become one. Obviously You made a right choice. Best wishes. Thank you, very much, for your wonderful feedback. I truly appreciate your comments. I agree, teaching and working in a school is a calling and should not be viewed as a job. I was very blessed to have been given the opportunity to work with hundreds of wonderful children, teachers, parents and support staff members. awesome website. thanks this is helpful for me !! If I can be of any help to you, please just ask. I am more than happy to help you work through any aspect of running a school. 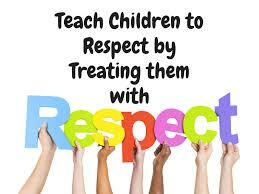 Hi, Susan, this is so powerful article you wrote about “respect” you provide to the children, to learn about the most important aspect of the behavior to be respectful to anyone. 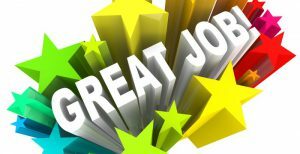 I liked the way, you demonstrated how is so important to use the word ” Proud ” to tell at least once with every person you speak with throughout the day. Every school should have this wonderful, Power Team to work together, for building Trust, developing respect to fit the Pride. Thank you so much, great, and magical website. Thank you for taking the time to view my website. I am very pleased that you found it useful. Working with children and creating a positive community within my school certainly was a passion of mine. I’ve love what you’ve done here in this article! It’s very uplifting, easy to read, and should help boost peoples confidence in performing their jobs. Being a teacher or a school principle has to be an huge challenge and I admire anyone who can do it! Thanks for sharing and offering your help and support. I’m sure it will go along ways. Thank you for visiting my website and for your kind comments. I appreciate the fact that you took the time to read my thoughts. I love working with children and watching them flourish. I have the honour of working with my grandchildren now! Thank you, again for visiting my website. Hello Susan, this was a very wonderful read. A principal’s job is never easy, I must say. It is all about building a relationship with the fellow students, and ensuring that the school system is a great place for academic success. The kids are our future. Thanks again, and continue to work hard!!! Thank you, Ahmad, for visiting my website. I really appreciate your comments. You are so right, the kids are our future! We want to make sure the future is bright and enlightened.